It is years since Pneumofore delivered the first multi-stage, high pressure compressor to Rotomec, who is now member company of the world active Bobst Group. The successful use of 20 bar, mobile, alternative compressors on a receiver of 20 lt. resulted in the sale of more than 200 units mod. PH B. The packaging industry works round-the-clock, the switch from one product to another or the replacement of consumable components in the production line, require the fast and trouble-free intervention, in order to keep production down-time minimal. The specific need of high pressure compressed air is to speed-up the replacement of the rubber on the large, cylindrical, dragger drums. This success of 20 bar machines is special, since Pneumofore is better known, in the global packaging market, as vacuum system supplier. The last edition of the Glasstec fair in Germany confirmed itself as the world leading event for equipment and services for the hollow glass industry. During those few days, Pneumofore had the opportunity to meet several key contacts, also from distant nations. A chance to exchange experience with vacuum for IS machines, to evaluate results on productivity, to report improvements in the forming process and why not, to discuss problems. The general feeling was positive, with clear signs of investments towards quality-oriented industrial goods. 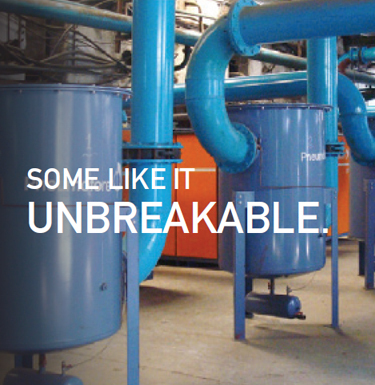 When it comes to reliability of continuously operating equipment, or to the need for higher moulding speed, or to a minor rejection rate by the growing quality standards of the final product, then Pneumofore responds with vacuum system solutions based on solid experience. Solutions that meet the latest criteria of efficiency and environmental protection. Several applications require continuous operation of the vacuum pumps at a specific vacuum level. Centralized, large size, industrial vacuum systems in hollow glass and can factories usually run at 150 mbar(a) [25.48 inHg V]. In order to install smaller size electrical motors, the maximum absolute pressure level of the UV G Series has been limited to 300 mbar(a) [21.07 inHg V] for 50 Hz and 200 mbar(a) [24.02 inHg V] for 60 Hz operation. The standard UV50 with power supply 400V/50Hz/3ph has the nominal electrical power of 75 kW and the ability to operate at pressures up to 450 mbar(a) [16.645 inHg V] for 2.700 m3/h [1590 cfm] capacity. The UV50 G with power supply 400V/50Hz/3ph has the nominal electrical power of 55 kW and the ability to operate at pressures up to 300 mbar(a) [21.07 inHg V]. The vacuum pumps of the UV G series have a lower start-up power peak, less noise and less weight. The efficiency remains the same as the entire UV range. Other Series of the UV Vacuum Pumps range, like UV H for Water Vapor Suction, UV HC for Hot Climate or UV B for double stage with Booster have other technical specifications. However, when the process is continuous and within above mentioned vacuum levels, the Pneumofore Engineering dept. 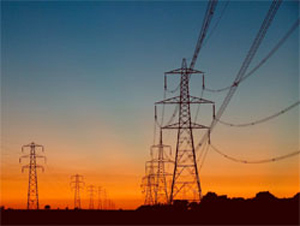 is glad to evaluate the use of smaller rated electrical drives. On-field experience determines which equipment suits best a specific application. Trans-Asia Pipeline Services bought the first Pneumofore pumps in March 2010. 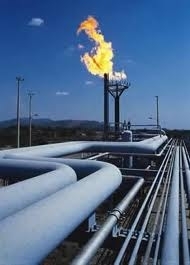 The positive results motivated their further investment in additional vacuum systems for the commissioning of pipelines. For the Dahej-Vijaipur pipeline project for the Gas Authority of India, Trans-Asia ordered 4 vacuum systems mod. UV16 H IC B3000B VS11 HC S. Compared to the previously supplied pumps, this new version features the higher capacity of 3.000 m3/h [1768 cfm] for the Dew Point of -20° C [-4° F]. A Variable Speed (VS) drive commands the second roots stage, so that its “work starting-point” can be set at 500 mbar(a) [15.17 inHg V]. The steam flow rate is 156 kg/h and allows a short drying time. Other advantages of vacuum drying are: the equipment space requirements are very small, all free water is removed from the pipeline due to very low Dew Points, the vacuum process produces no waste and the required power supply is minimal. The 610 km pipeline from Dahej to Vijaipur, has been constructed in a record 14 months against the earlier schedule of 33 months, and has the capacity to transport 23 million m3 of natural gas daily. The Association of Italian Glass Technologists, ATIV, welcomes in Parma, Italy, specialists from all over the world for the intense sequence of presentations, each 20 minutes, regarding topics separated in GT (Glass Technology) and BG (Building with Glass) sessions, on 18 and 19 November 2010. The scientific committee includes prestigious names from Italian, German and American universities. The speakers are mainly from Italy, UK, Belgium, Germany, Sweden, Netherlands, France and USA. This yearly event offers a consistent programme of technical meetings to discuss latest academical and practical results of R&D. Pneumofore will speak on Friday 19 November at 12:00 with subject “How to improve forming and reducing energy costs”. Starting from hands-on experiences worldwide, Mr. Ferrero will explain the numerous advantages of vacuum in the industrial moulding of hollow glass. The Conference on Glass Problems at the Ohio State University is the 71st annual session and represents the largest US industrial glass meeting. Finding place on 19 and 20 October, this event welcomes attendees from around the world to meet and discuss the latest innovations and solutions to manufacturing issues. Pneumofore, in the person of Mr. Mauro Ferrero, Director of Sales, will participate as done last year. The search for improved production quality and speed explains the rising importance of vacuum on the IS machines. The fast glass moulding process can be optimized with special components, research is dedicated to new materials, controls and technologies to reduce the hollow glass production cost. Pneumofore fits perfectly in this frame, since the vacuum pumps are specifically made for the tough and rough continuous operation in glassworks worldwide. With highest criteria of performance, the Kreatina engineers studied in 2005 to separate pipe circuits with different pressures, one “rough” and one “fine” vacuum for their site in Swinnoujscie, Poland. To fit this purpose, 3 x UV16 pumps were installed in a dedicated vacuum pumps room. These units were water cooled and equipped with a booster on top. Each unit could either deliver single stage rough vacuum or double stage fine vacuum. The enormous success of this installation, managed in collaboration with our Swedish partner Vakuum Experten, was measured in terms of speed of packaging, cold rooms without noise, without exhaust oil fumes nor heat source caused by on-board pumps. The long maintenance intervals are possible due to the capability of UV16 pumps to evacuate, in their special H version, up to 66 kg of water / hour. This is a unique feature, possible only with Pneumofore units. The use of food grade coolant, class H1 according to NSF classification, further enhances our customer’s satisfaction. Along with the success of this factory for the packaging of sliced bacon, which was documented with a dedicated Pneumofore case study in June 2006, this facility was enlarged for higher production volumes. In 2007 Kreatina engineers came to visit Pneumofore again for the inspection of an additional pump, this time model UV30 with a rotary piston roots booster on top with capacity 3.700 m3/h. This last unit was delivered with a heat recovery system, which allows even more power savings. 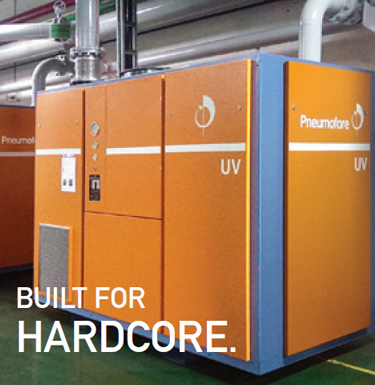 The continuous, trouble-free operation over 5 years clearly states the reliability and durability of Pneumofore machines, designed and installed for the lowest Life Cycle Cost of high tech, 3-shift factories, like Kreatina, whose size is such, that on-board vacuum pumps are replaced by a fully engineered, sophisticated yet efficient centralized vacuum system. More than 10.000 visitors registered for the 18th international processing packaging technology event in Asia at Bitec, Bangkok from 16 to 19 June. With one UV4 H vacuum pump in operation, our booth V37 attracted several potential customers, impressed by the live demonstration with water vapor suction. This unique feature, combined with the complete air cooling of the machine, emerged as solution for various packaging applications: degassing (pulp and paper, meat, fish, pasta), food packaging as well as can manufacturing, glass moulding and bottle filling. 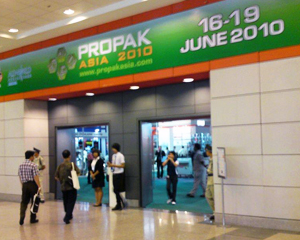 Propak Asia – Pneumofore boothThe packaging industry is linked to several food processes, which also depend on vacuum like evisceration and drying. The UV series pumps represented such an innovative solution that they were displayed in the product highlights section of the ShowDaily Magazine. Pneumofore is glad to face various challenges presented by visitors, having the target to avoid cooling water and power consumption, wherever possible, in their production facilities. Local visitors can refer to World Instruments, our representative for Thailand. The 12th international exhibition Mir Stekla 2010 in Moscow, being the largest trade show dedicated to glass industry in the CIS and Eastern European market this year has seen the participation of 260 companies from 24 countries. 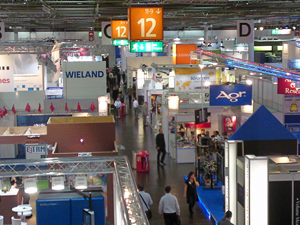 Italy, Germany, and China presented their national expositions that attracted many existing and potential customers. Mir Stekla 2010After a difficult 2009, this year stands out for the number of visitors, and most important, for the successful completion of a series of long-term projects also due to hard work of Pneumofore distributors: Megatechnika in St. Petersburg and Professional Tool in Moscow. A relevant fact worth mentioning is the change in “ambient behavior”: the majority of the Russian companies turn to “energy saving solutions” that Pneumofore has been endorsing for decades. The reduction of the energy consumption, in general, and the rotary vane vacuum pumps with VS option, in particular, represented the most popular requests from the visitors of the exhibition. More than 100 companies exhibited at Cannex 2010, the annual event for the metal packaging industry which took place at the Sands Convention Center in Las Vegas from 27th to 29th April. As supplier of centralized vacuum systems for the can industry, Pneumofore presented the UV series air cooled vacuum pumps. 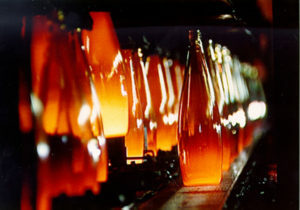 Vacuum is essential in many manufacturing steps of the can production and several plants of Cannex de las AmericasRexam, Crown Cork, Can Pack, Mivisa Envases and United Can are already using large centralized vacuum systems with air cooled UV pumps to provide the vacuum level required by the production. The economic downturn has forced a number of companies from the metal packaging industry to tighten their budgets and this is the main reason for the limited number of visitors at this year’s edition. Nevertheless, metal cans still represent a very important element in the food packaging, beverage and personal care products and Pneumofore is willing to further enhance the presence of its technology in this market in order to reply to customers’ demand with reliable tailored solutions. The Italian Confederation of Industries, named Confindustria and founded in 1910, celebrates now hundred years of successful contribution to the Italian economy, see www.confindustria.it . Confindustria follows the political evolution with care for the Italian industry, the prime supporter of our national economy, delegated by thousands of small, medium and large sized companies. Mainly the Northern part of Italy contains the majority of innovative factories with exclusive products, sometimes unable to be known worldwide. Pneumofore subscribed to Confindustria in 1927 as it became member of the Unione Industriale of Torino. Lately our company emerged again as one of the oldest members of Confindustria and we received a prestigious statement signed by the President, Ms. Emma Marcegaglia, who clearly states a change of attitude in a predominantly male environment. Based on positive results with several Pneumofore pumps evacuating water vapor for the drying of large and long size pipelines, a dedicated double stage vacuum system was designed for Trans-Asia Pipeline Services in UAE. Vacuum offers huge savings when applied to drying processes, compared to ultra-dry compressed air. With a fraction of the required power supply, the minor drying time and the important reduction of system complexity and space, the UV H vacuum pumps combined with roots represent a revolutionary solution, mainly due to their exclusive capability to evacuate water vapor. The heavy duty cabinet allows easy handling, two air cooled UV16 B2500B HC pump systems fit in a 20 feet container for total 5.000 m3/h capacity, down to max 0,03 mbar(a). Glassman South America, held on 9 and 10 March 2010 at Fecomercio in São Paulo, showed a good number of exhibitors related to glass equipment. All the potential Pneumofore customers met during the recent journeys in South America confirmed their interest in our centralized vacuum systems for IS machines. Far from being an exhibition addressed to all continental countries, the show was mainly dedicated to Brazilian and Argentinean companies operating in the glass industry. A good opportunity to meet consolidated contacts. South America confirms itself as a growing market for the glass industry. Continuos work, little maintenance and trouble free operation make our UV vacuum pumps ideal for the moulding process in Glassworks. 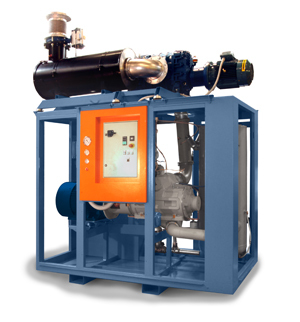 The air cooled, large capacity, ready-to-use pumps are also preferred for their easy maintenance and long life. Our marketing activity is strongly supported by references, we consider facts and experience key factors for decision makers. 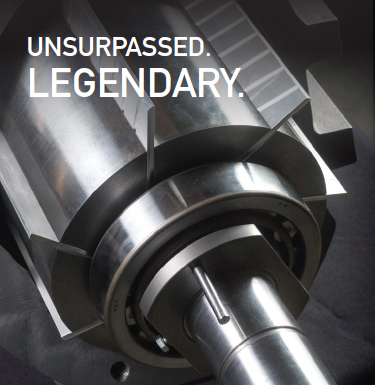 Thus we continue to invest in R&D to further improve the efficiency, reliability and durability of our machines. To present our vacuum solutions for IS machines, we scheduled our participation to several Hollow Glass Fairs. First comes the Glassman show in San Paulo, a relevant happening for the South America Market, during the second week of March. 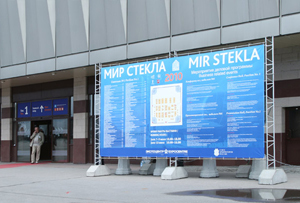 With yearly revenue finds place in Moscow the Mir Stekla exhibition, duration 7 to 10 June. GlassTec Asia, with its new site in Singapore, will be held from 29 June to 1st July. Finally GlassTec in Dusseldorf, 4 days long, starting on 28 September. The detail information with hall and booth number for each exhibition is found in our Trade Shows section and you can always contact us to schedule an appointment ! 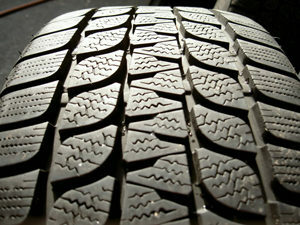 The moulding process of tyres is frequently supported by vacuum. With experience made at Michelin in Italy, Goodyear and MRF in India, Pneumofore installed in 2006 a vacuum system at Bridgestone in South Africa. The air cooled vacuum pumps of model UV16 H, capable to evacuate water vapor, are running almost continuously, replacing the previous liquid ring vacuum pumps. Bridgestone – Vacuum for TiresThe water cooling circuit was causing considerable worries, due to the cooling water temperature and long-term operation of the water piping system. Because of the dependency of the liquid ring vacuum pumps from the cooling water temperature, the entire vacuum system showed a relevant potential of improvement before installing the 3 units UV16 H. The targets of reduced power consumption and better vacuum level of 100 mbar(a) were met and are kept since 4 years of operation.